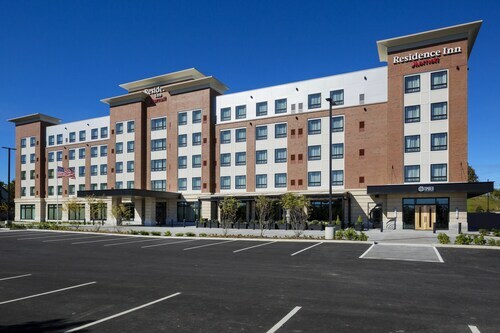 Located in the heart of Bangor, this hotel is within a 10-minute walk of Paul Bunyan Statue, Cross Insurance Center, and Darling's Waterfront Pavilion. Bangor Raceway and Waterfront Park are also within 15 minutes. Situated in Bangor, this hotel is within 1 mi (2 km) of Bangor Raceway, Cross Insurance Center, and Darling's Waterfront Pavilion. Paul Bunyan Statue and Bangor Municipal Golf Course are also within 1 mi (2 km). 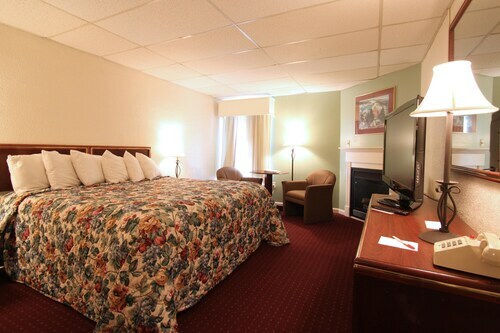 Located in the heart of Bangor, this hotel is within a 10-minute walk of Beal College and Cross Insurance Center. Darling's Waterfront Pavilion is 0.8 mi (1.3 km) away. 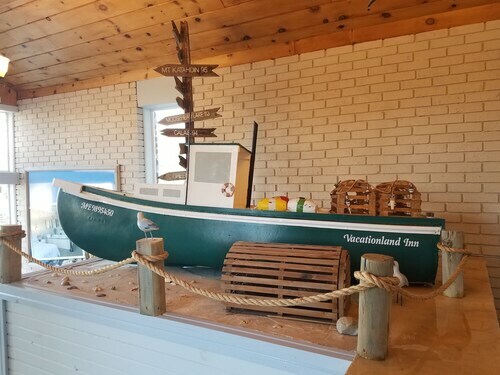 Situated in Bangor, this hotel is 1 mi (1.6 km) from Cole Land Transportation Museum and within 3 mi (5 km) of Cross Insurance Center and Darling's Waterfront Pavilion. University of Maine at Bangor and Bangor Municipal Golf Course are also within 2 mi (3 km). Situated in Brewer, this hotel is within 3 mi (5 km) of Chamberlain Freedom Park, Darling's Waterfront Pavilion, and Cross Insurance Center. Bangor Opera House and Indian Trail Park are also within 2 mi (3 km). 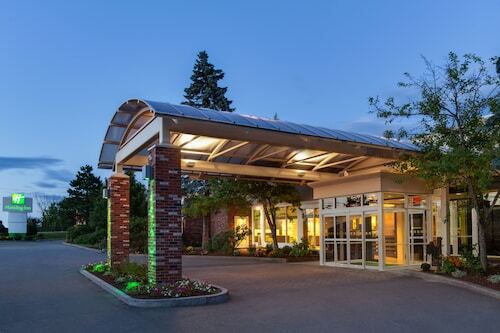 Situated near the airport, this hotel is 1 mi (1.6 km) from University of Maine at Bangor and within 3 mi (5 km) of Cross Insurance Center and Darling's Waterfront Pavilion. Cole Land Transportation Museum and Bangor Municipal Golf Course are also within 2 mi (3 km). 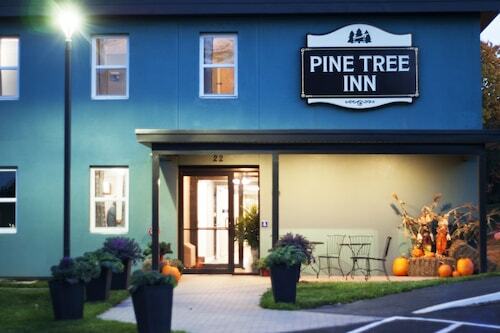 Situated near the airport, this hotel is within 3 mi (5 km) of Bangor Mall, Orono Bog Boardwalk, and Cascade Park. Eastern Maine Medical Center and University of Maine Museum of Art are also within 3 mi (5 km). Situated in the historical district, this hotel is within a 15-minute walk of Maine Discovery Museum and Darling's Waterfront Pavilion. Cross Insurance Center and Bangor Mall are also within 3 mi (5 km). Darling's Waterfront Pavilion is definitely a place worth seeing. You can visit it in Bangor, a major city which offers travelers a whole host of must-see sights. With approximately 5 possible accommodations located only 2 miles (3 kilometers) from Darling's Waterfront Pavilion, you shouldn't have any difficulty finding the right place. 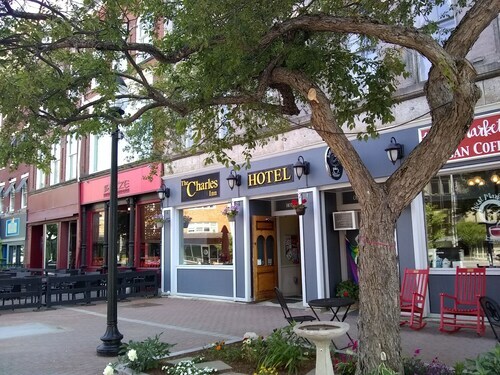 A lot of tourists have had good experiences at the Hollywood Casino Bangor, 0.5 miles (0.8 kilometers) away, the Fireside Inn & Suites, 0.8 miles (1.3 kilometers) away, and The Charles Inn, 0.4 miles (0.6 kilometers) away. If you feel totally fine without fancy facilities and services, you can book a room at one of a handful of budget accommodations in the vicinity. 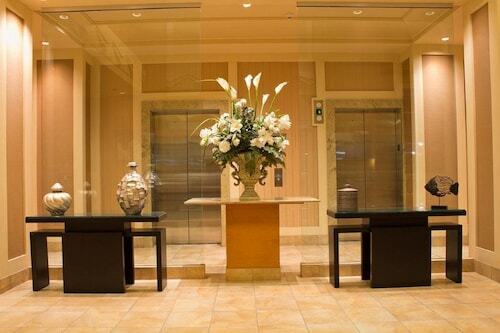 The Quality Inn at Bangor Mall and the Country Inn at The Mall are worth a shot. While checking out Darling's Waterfront Pavilion, be sure to stop at Dunkin' Donuts (327 Main Street, Bangor) to stop those hunger pangs. Afterwards, buy a round at Sea Dog Brewing Co (26 Front Street, Bangor), and create a treasure trove of precious memories. Have a bit of family time in some grassy spaces without ever leaving the city limits at Waterfront Park. There may not be such a thing as a safe bet, at Hollywood Casino at Bangor, but that's no reason not to have fun at a game of poker or blackjack. See a play and escape to a different world at Penobscot Theatre Company. Immerse yourself in the local cultural scene when you get a seat at one of the performances at Bangor Opera House. Both locals and tourists enjoy tours of Bangor Museum and Center for History, a memorable historic residence. How Much is a Hotel Room in Darling's Waterfront Pavilion? Hotels in Darling's Waterfront Pavilion start at $57 per night. Prices and availability subject to change. Additional terms may apply.